Hello everybody! I was excited to open my WordPress page today, & as usual, I love it when I have a bunch of notifications awaiting. I go through them, slowly & carefully, tackling each & every comment & making sure to visit back & thank all those who are following & liking. But today, my enjoyment was doubled when I discovered that I was nominated to my First ever blogging award, the 7×7 Award!! 😀 Yeyy!!! 1. Thank the person who nominated/awarded you. 3. Share seven of your posts under the headers: Most Beautiful Piece, Most Helpful, Most Popular, Most Controversial, Most Surprisingly Successful, Most Underrated and Most Pride Worthy. 1. I would like to thank the talented and super nice Steph Rice, the one behind this lovely blog: Basmati Taco. Her blog features my personal favorite indulgence, Food! & lots of it! Steph lives in Richmond, Va, & claims to be an amateur cook, but I can promise you, after trying her amazing Creamy Tomato Basil Bisque recipe (details coming up later), everybody at home is an addict! I think there’s more than food put into her blog. The theme’s design, layout, easy recipe instructions and original amazing photos, all really show a lot about her (& Steph, correct me if I’m wrong here! ): Creative, informative, adventurous, elegant, warm, pleasant & fun! 1. I love fine arts in general, but specifically painting. I draw & paint, usually with acrylics wand water colors, but have recently started playing around oil painting, & would love to develop this talent of mine as soon as possible in the near future. 2. I have a thing for children suffering from cancer. That’s why I chose to work as a registered nurse, at the Children’s Cancer Center of Lebanon. 3. I’m still afraid of the dark – especially when I’m alone! 4. I am challenged when it comes to directions. I can never tell the right way to go, or memorize how to get around town where I have lived mostly all of my life! 5. I have never cooked in my life, or even had an interest to develop this skill, until recently. I discovered that I love the process of making food, not just consuming it! 6. I love beautiful handcrafts, of all kinds, & have special appreciation for the ones that require expertise, skill, patience, and are no longer being widely practiced due to the evolution of machinery and computers, like lace! 7. I love Black and white, film photography. Most Beautiful Piece: My three History of Lace articles: 1, 2, & 3. I have an obsession for dresses. Of all kinds, textures and prints. The more I stack in this poor closet of mine, the merrier my state of mind is (& the less that of my mom is)! Everyday dresses, evening dresses, beach ones, whatever time of the day is, wherever I go. However, Beirut’s winter has been endlessly crazy this year, as indicated in my previous blog post: Dirty Laundry, to the extent that I’m craving summery dresses, now, from under the deep layers of the warm blankets I’m curled into while writing this post! Deafened by the stormy winds, thunder & rain showers outside. My favorite types of dresses are the maxi-length ones. I think they are so feminine, classy and figure flattering in a less obvious way than the short ones.. But really, how lovely are these Cancan Ysterike dresses? The photo-shoot & the locals are quiet amazing as well! I love rainy weather. I think I have previously mentioned that, and can’t promise this will be my last time. Stormy weather has been so prevalent in Beirut for the past couple of months, where sunshine only unveiled itself for a short few days period… The point here is that I’ve become the lazy kind-of-a person, finding the slightest excuse to keep ‘hibernating’ at home. This has caused major delays in my everyday tasks, whenever I have a day off at work, not to forget neglecting going out with friends and socializing. I simply hate to get wet. I get cold very easily (I normally carry with me a sweater or a light jacket during summertime! ), which would ruin my whole outing, if not week! On the other hand, I hate to dress up like a nylon bag in order not to get wet. I particularly dislike rain boots. They are most unflattering, and unfeminine creations -next to the dreadful Crocs! We all find it hard to keep up with the oaths we took to ourselves about maintaining a healthy diet, especially when we have a sweet tooth. So how about we substitute unhealthy snacks with ones that are full of beauty and health boosters?! 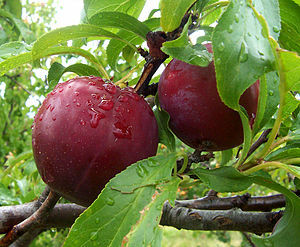 One last fact: Half a cup of plums contains around 40 Calories. Have been craving white sauce the past couple of days, even though I’m fully aware of the increasing size of my waist line. However, I never was, & don’t think I’ll ever be the one who would cut off my earthly pleasures (& I mean good food & drinking here) just to maintain my weight. Instead, I’d simply hit the gym more often, or even take a daily walk around town! So I was looking for some recipes online while I was still at the dorms. 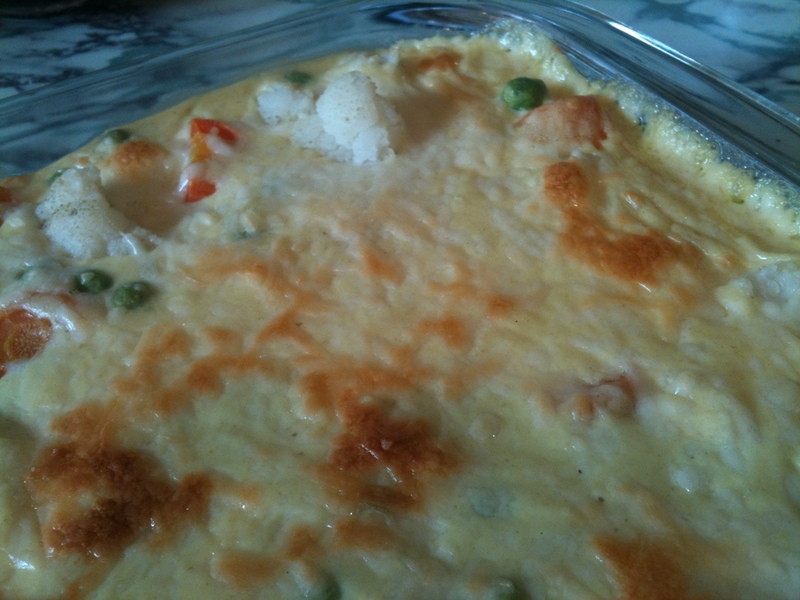 Theme: white, liquid, milky, cheesy, yummy sauce… Until I came back home the other day to find that my mom has baked, I repeat, baked me some steamed vegetables (I love everything baked), with Bechamel sauce! Felt like HEAVEN! Preheat the oven to around 200 degrees C.
The vegetables, half boiled or steamed: 2 carrots, cut in thick slices. Half bunches of Broccoli and Cauliflower, cut in large florets. 2 courgettes, cut in thick rounds. 4-5 asparagus spears, cut in thick slices. 1 large potato, cut in cubes. A handful of sweet peas and beans. Some baby corn. The sauce: 3 tbsp butter & 3 tbsp flour (should be of equal quantities according to mom). 1 chopped garlic. 1/2 cup powdered milk. 4 cups water. Boil all together, until well mixed & thick. Add 1 tbsp white pepper and a sprinkle of Nutmeg. 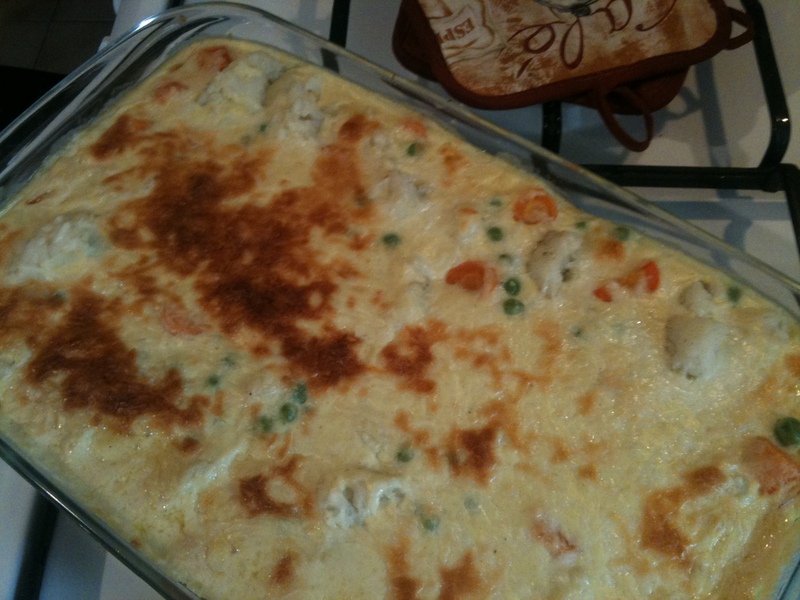 Put the vegetables in a Pyrex baking dish, previously covered with unsalted butter. Then add the sauce on top of the vegetables; it should slightly cover them. Add around 65g of grated Gruyère cheese on top. 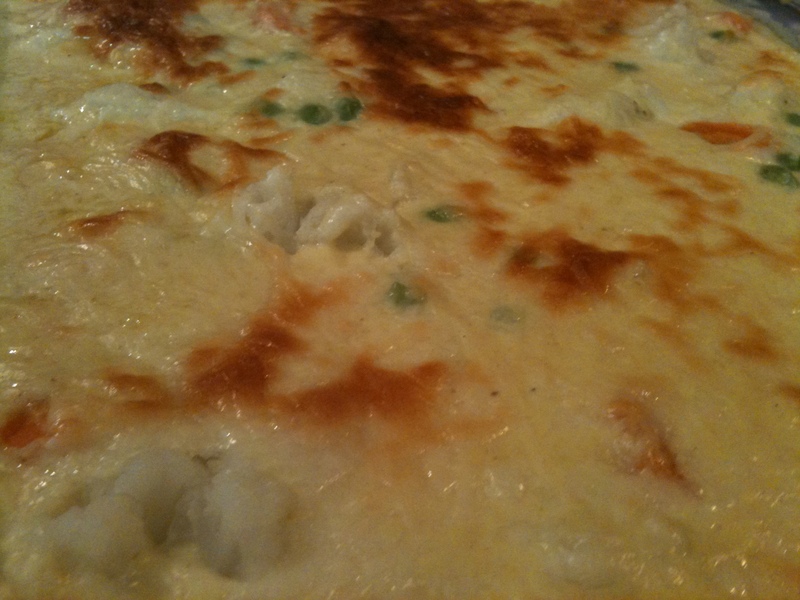 Bake for around 15 min., until vegetables are soft & the top is golden brown. We all make mistakes to our skin care routine, that will later on fire back on us. Sometimes we sleep in our makeup, we forget/skip the daily sunscreen, and neglect to take necessary appointments with our dermatologist. So, in the spirit of making things right between my coating layer & I, I’ve conducted some research that I’d like to share with you, and summed up all the essential steps in skin care we should do to restore, reinvent and keep up a healthy skin. 1. Drink water. At least one liter a day. Fresh juices (sans Vodka :p) are a great addition, along with maintaining a healthy diet, filled with fresh vegetables and fruits. 2. Use rich moisturizing face and body lotions daily, and directly within 10 minutes after you shower, while your pores are still open and highly receptive. Remember, a hot shower strips your skin of its natural oils, which can be substituted by moisturizing. Keep the lotion bottle at a visible place in your shower so that you instantly remember this step. 3. Sunscreen. Sunscreen. Sunscreen. Every day, of at least SPF 30, and reapply more often. UV rays damage your skin, cause brown spots and accelerate its aging process. 4. Clean. Take off your makeup at night, directly when you get home. Don’t wait until you’re too tired to get up, walk all the way to the sink, and wash it off. If you so tired, at least use makeup remover wipes, and store them near your bed. Your pores will thank you later. 5. Exfoliate regularly. A baby’s skin rejuvenates itself completely every 14 days, however, that of a 30-year-old takes 28 days, leaving a dry-out or oily appearance (depending on your skin type). So why don’t you jump-start the process by gently exfoliating your face & body twice a week, and going to your trusted beauty advisor for a more deep exfoliating session once or twice a month. 6. Give your hands the royalty they deserve. Avoid tearing open cans and boxes. Use moisturizing antibacterials, instead of those that are solely made of alcohol which dehydrate your skin. At night, rub your hands with alpha hydroxy acid lotions (they are too thick for the day). If your hands are chapped, use shea butter, and for deep rehab, apply a moisturizer, then wear some cotton gloves overnight. 7. Same care applies to your feet! They carry your whole weight along every day, and are your connection to the ground! Deep clean on a daily basis. Scrub & exfoliate at least twice a week, and keep your toe nails tidy. If you suffer from dry soles, don’t harshly peel them, instead, excessively apply a deep moisturizer overnight, and then wear cotton socks. You’ll notice a dramatic change in the morning. 8. Never ever pop a pimple. Not only it’s disgusting, it can also clog your skin with oils and dirts by your fingers and cause further inflammation at the site. 9. Stick with the program. It would take up to six weeks to start seeing real changes in your skin, whether you’re using anti-aging creams, acne treatments, or a skin lightener. According to Dr. David Bank, a dermatology professor at Columbia University, if you didn’t start seeing changes within six weeks, chances are the product you’re using will never work for you, so change it. 10. Unless you’ve taken a Microbiology course like I did, you cannot imagine how ugly -and easily- bacteria can grow upon accumulated skin oil and makeup radicals. So clean up your makeup brushes ideally every week. How? Using either a liquid hand-soap or baby shampoo, with slightly warm water (hot water can cause bristles to fall off), then rinse thoroughly, squeeze out excess water, reshape, and balance them over the sink to dry. 11. Sleep well. Your whole body rejuvenates itself during sleep. Blood flow is said to be at its best to your skin during night-time rest, that’s why we look so miserably colored (or discolored) on the days we get up with not enough sleep. 12. Stick to a mole checkup on a yearly basis, as much as possible. Even though people nowadays are more keen on monthly self checkups, a yearly visit to the dermatologist might save your life! What are your personal skin health & beauty routines? & which one of the essentials do you tend to skip at times? 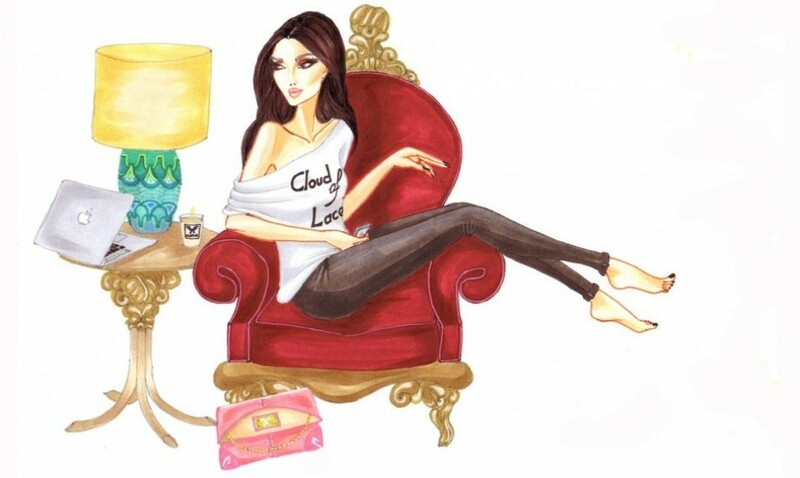 Loved this blog Post by a leading Lebanese make-up artist Fady Kataya. I remember one day I was at my beautician a few months back, viewing the first editions of catalogues about the latest nail polish trends for the winter of 2011-2012, when I was thrilled to find out it was all about nudes and pastels. Finally, such elegant, classy and feminine colors, that are great with almost every skin color! 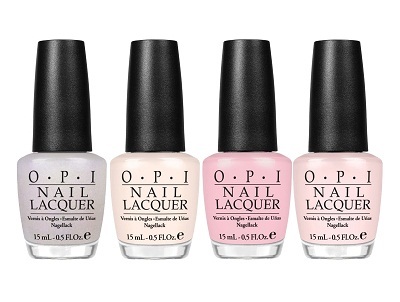 I have been obsessed, ever since, with O.P.I‘s nudes, pinks and pastels. What’s good about these shades is that they fit every occasion, everyday. From work to your casual evening outings, to the most formal ones. I’m also in love with Essie. So glad this brand has finally made it to Lebanon, & it’s getting so popular! What’s your favorite shade for nails? Beirut’s Wedding Folies 2012 presented the latest ideas from multiple organizers, decor and fashion designers, and catering houses. For your wedding’s catering options, it’s all about trendy individual portions this year; big stuffed platters that are usually displayed on buffets are a not being favored anymore. Think of cakes, cupcakes, tarts, mousse… All served in mini portions in tiny plates, attractive glasses, and bite-sized portions. & this does not apply to desserts alone, even Tabbouleh, Hommos, Kibbeh, steaks, salads, etc.. are also elegantly being served this way. On this Valentine’s day, carry out your heart with this ultra-stylish CeeHeart handbags collection from CeeCode! These gorgeous handbags are created by the young Lebanese Armenian designer Cynthia Pennikian. Her line rapidly gained success throughout the Middle East, and now she’s showcasing her handbags at multiple prestigious shops across Lebanon & the UAE.